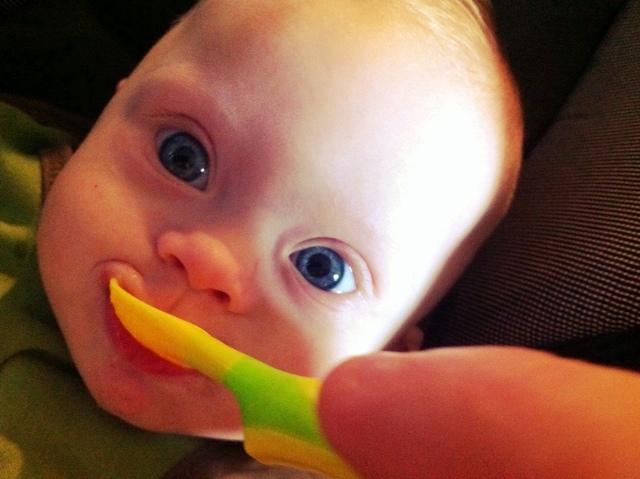 You are here: Home / Uncategorized / Noah’s Going Bananas Over Bananas! Noah’s Going Bananas Over Bananas! Noah got to have his first banana tonight, which he destroyed! He has the most amazing eyes in this pic! Awesome blog dad!